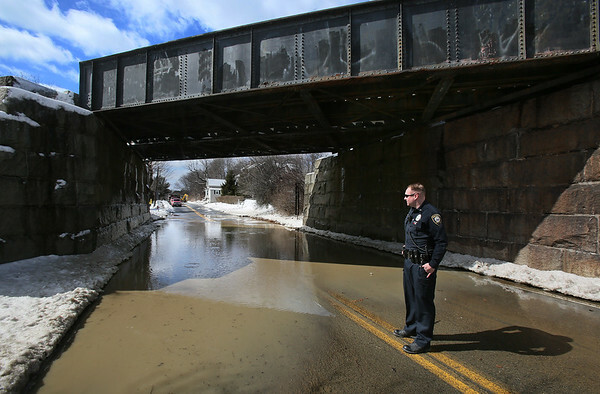 Officer Michael Richard looks at the flooded area under the railroad bridge on Summer Street, Route 127, in Manchester after a water main broke early Monday afternoon. Officer Richard said that when he arrived at the scene, before the area was flooded by water, the surface of the road was buckled upward. "It looked like an earthquake," he said.